Hospitality - Benvenuti su mosaicovalnestore! 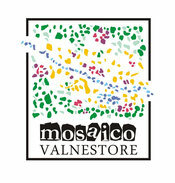 Mosaico Valnestore welcomes you in its territory with various types of accommodation that vary in accommodation capacity, type of accommodation, location, nationality of the owners, but with a single "mission": let you know more about this part of Umbria with its traditions and its excellence. Below you will find the list of "members" participating in this project and the way to contact them. We are working on a particular presentation of each member. Continue to follow us to learn more. www.poggiodelpero.it - Contatti: info@vocabolopoggiodelpero.it . minimo 7 notti (su richiesta 3 notti).